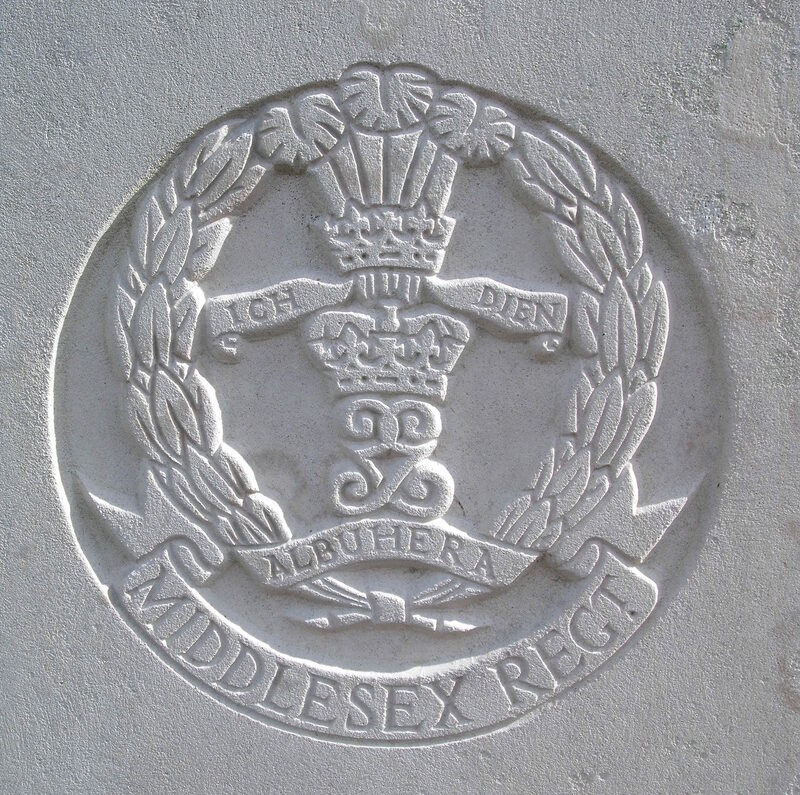 3/10th Bn, The Duke of Cambridge's Own (Middlesex Regiment), 10th Brigade, 4th Division, B.E.F. Next of Kin: Husband of Alice Eleanor Cooper, of 27, Lysons Road, Aldershot, Hants. Percy Cooper is buried in Duhallow Advanced Dressing Station,which is believed to have been named after a southern Irish hunt, and was a medical post one mile north of Ypres (now Ieper). The cemetery was begun in July 1917 and in October and November 1918, it was used by the 11th, 36th and 44th Casualty Clearing Stations. The cemetery contains many graves of the artillery and engineers and 41 men of the 13th Company Labour Corps, killed when a German aircraft dropped a bomb on an ammunition truck in January 1918, are buried in Plot II. After the Armistice, the cemetery was enlarged when graves were brought into this cemetery from isolated sites and a number of small cemeteries on the battlefields around Ypres. Special memorials commemorate a number of casualties known to have been buried in two of these cemeteries, Malakoff Farm Cemetery, Brielen, and Fusilier Wood Cemetery, Hollebeke, whose graves were destroyed by shellfire. There are now 1,544 Commonwealth casualties of the First World War buried or commemorated in this cemetery, 231 of the burials unidentified. There are also 57 war graves of other nationalites, mostly German, and one Commonwealth burial of the Second World War, which dates from the Allied withdrawal ahead of the German advance of May 1940. The cemetery was designed by Sir Reginald Blomfield.